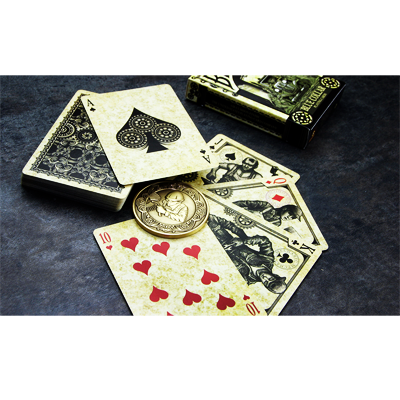 Bicycle Blue Collar Playing Cards These Bicycle limited edition decks each have a print run of only 3500 decks. They are dedicated to all the hard workers who understand what it's like to actually do an honest days worth of work. These are the men and women who earn their rights to relax with that cold glass of beer at the end of the day. These Bicycle decks where designed by Johnny Whaam. The fine detail of each hand drawn card is reminiscent of a hard working America.